Airbnb is trying to grow up. 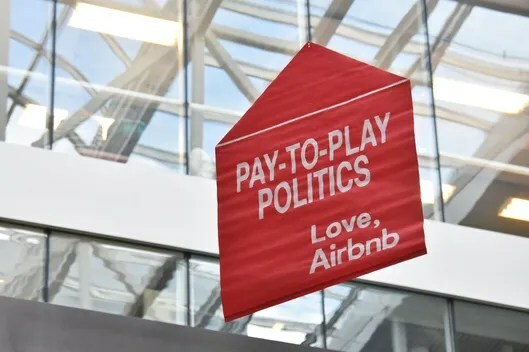 With the “Airbnb Community Compact” they’re making a promise of “transparency” to the cities they’ve been squatting in, unregulated, for the past several years. And they’re promising to pay what they see as their fair share of taxes. They also hired Chris Lehane, a former White House crisis manager. Of course, the company’s new-found munificence follows a nasty regulatory battle in San Francisco, where a ballot initiative seeking to limit users to 75 days of rental time, while beefing up penalties, was voted downlast Tuesday. They company poured $8 million into a controversialcitywide ad campaign to defeat the proposal. Got the drop on NY Mag . . .